Are you ready for a refreshing drink? 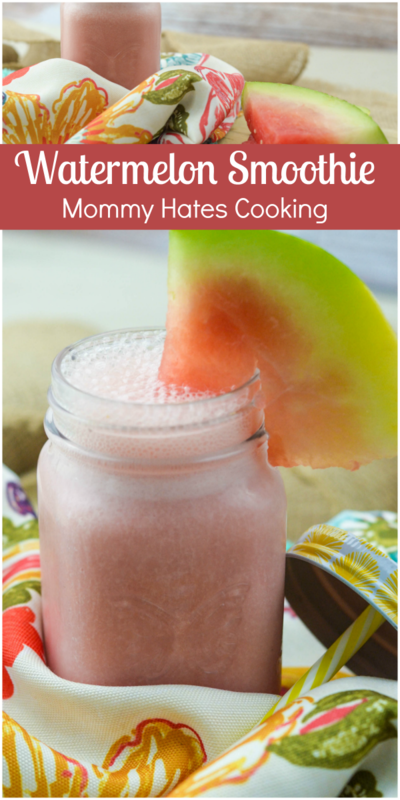 Then, this Watermelon Smoothie is just what you are looking for! Do you know what sounds good right now? A smoothie! I love smoothies and a nice little mix to a traditional smoothie is adding this watermelon to it. My husband and I thought a delicious Watermelon Smoothie would be the perfect way to get a pick me up throughout the day. How do you make a Watermelon Smoothie? I decided to combine watermelon along with bananas paired with vanilla yogurt to make this beauty. My son and daughter were sipping on them too. It was a nice afternoon outside followed with a healthy smoothie. I would definitely say this was a great alternative to a bowl of ice cream. Did I mention I’ve given that up lately? It’s part of my new ‘diet’. I hate to say diet because I’m hoping it’s a lifestyle change. Of course, I’ll have ice cream from time to time, but apparently, a year of having a bowl of ice cream or cereal before bed is a very BAD idea. I should have known, right? My family loves a good Watermelon Smoothie in the heart of summer. I mean that’s when watermelon is at its peak, right? It’s refreshing out in the morning or even in the afternoon by the pool. 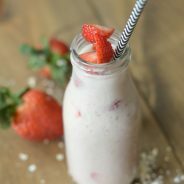 Tips for Making a Watermelon Smoothie? If you prefer it to be cold, be sure to add ice to it. It makes it nice and chilled, which is great for summer. If it’s too thick for your liking, add in a little bit of water to make it thinner. On the flip side, if it’s too thin, add in more banana. It’s very easy to customize. 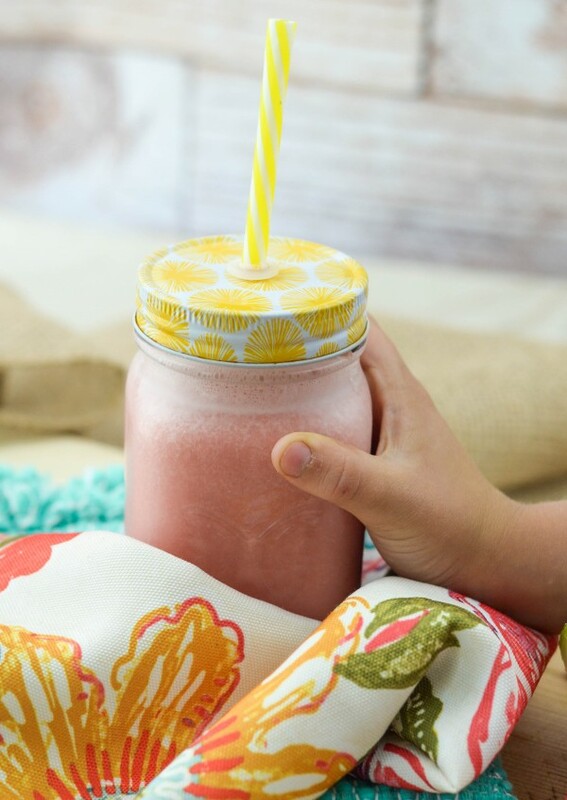 Now it’s time to relax with a Watermelon Smoothie! I absolutely love watermelon. I have never tried to drink it before though. I will have to make a smoothie this summer and I will let you know how much I love it :). Although I do not know if it will replace my ice cream treat – we can have both …. right?! I love making watermelon smothies and slushies. I freeze mine also so the drink stays cold longer. I have never tried it with bananas before but will be giving this one a try because they are my two favorite fruits. I have never heard of The Produce Gathering but will be checking them out to see if they are in my area. I’m so glad that I came across this recipe. I just bought a huge watermelon and I am always looking for new twists on things. 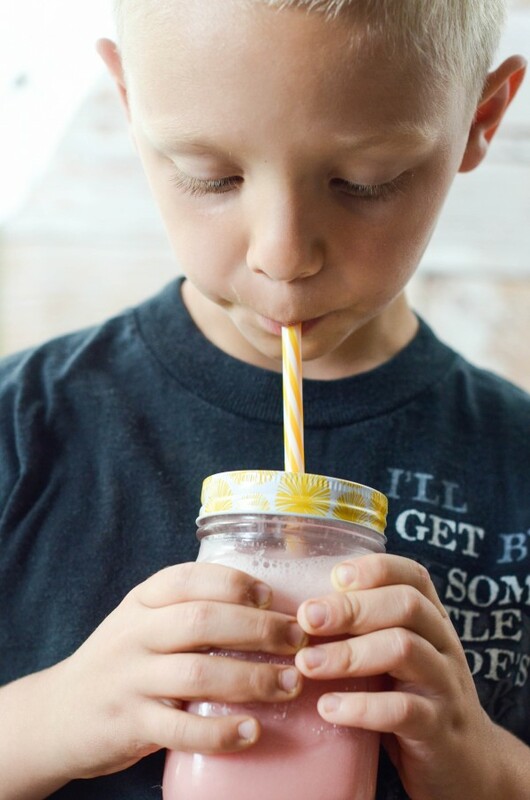 My boys will for sure enjoy this refreshing and satisfying drink. Cheers! We love watermelon in the summer, but always seem to have it in excess! It is hard to eat the whole thing with a family of 2! 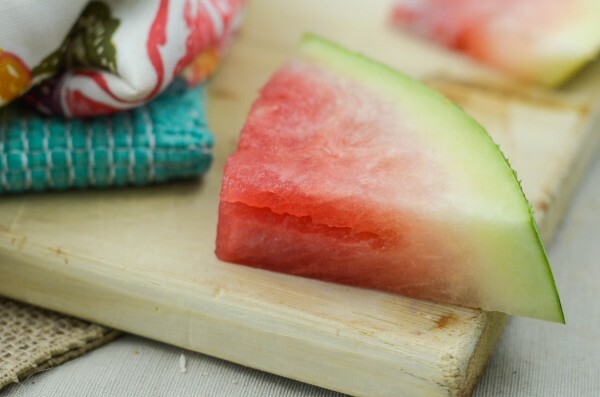 I am just obsessed with this recipe idea, I will be making this with my extra watermelon now! It is too simple not too! And that fresh produce is so gorgeous!! I love watermelon! I could seriously eat half a watermelon in one sitting!! 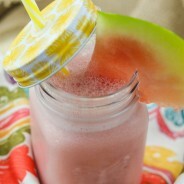 Last year I started making this watermelon agua fresca..it is so delicious and refreshing! I am a sucker for watermelon! This is something I could eat all year around! I have to say, I have never actually had a watermelon smoothie. I think this would probably be my favorite! Def going to try this out!! 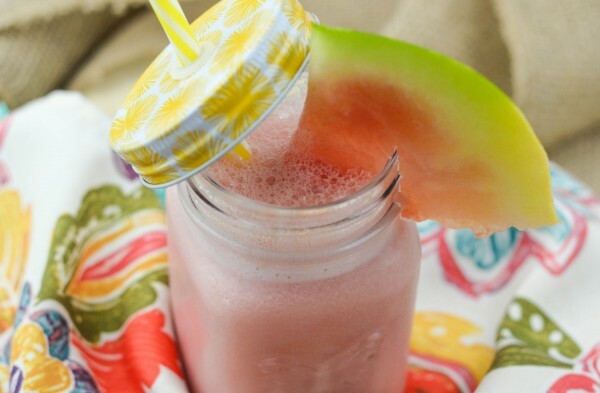 That watermelon smoothie looks so delicious and refreshing! Usually when I make mine I just add mint and ice, I never thought to add a banana to it. I’ll have to try this next time we have watermelon!